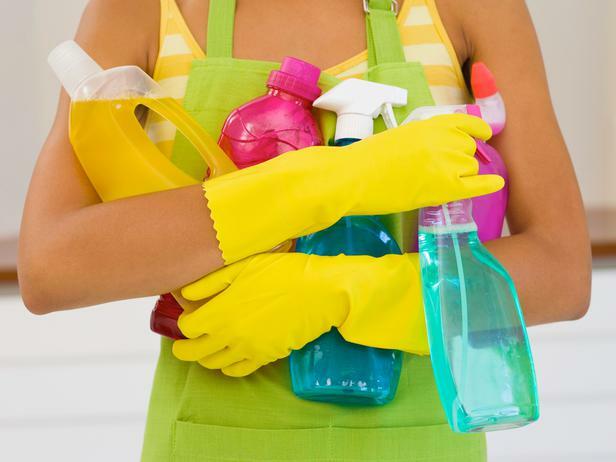 With busy schedules, it is easy to let housework go. When you walk in the door, you may set down your books, briefcase and purse. Maybe you rest a moment before tackling supper for the family. There is little energy left for picking up or cleaning the house. You may pick up from time to time, but sometimes the household chores become overwhelming. 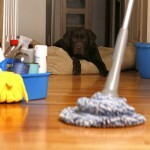 Even the thought of starting the process of deep cleaning is exhausting. The problem with not tackling those chores is, that at some point, you may not even want to come home, knowing what awaits you. Also, a house not kept clean becomes a breeding ground for unhealthy mold, mildew, insects and even pesky rodents. If you are part of a family, you can decide together not only what needs to be done, but also who is willing to do each chore. A clean house is a healthy environment and that should be the goal. Those who think “green,” should consider what they have that can be sold, given away or recycled. This includes papers, magazines, furniture and more. Have a garage sale or place an ad for items to be sold. This eliminates any number of household items and brings in some income you can use to hire a maid service if you prefer someone else tackle the house. You can also invite friends and family, provide food and make a party of cleaning a house that is in serious need of cleaning, especially if this includes rearranging, painting and minor repairs. Keeping a house clean and healthy takes commitment. It means starting with a clean house in the first place. This you can do by dealing with one room or one chore at a time. Think through how best to clean. Get rid of clutter and put objects in their places–books on book shelves, clothes in the drawer or in the closet, toys in a toy box and dishes in the cupboards not in the drainer. This alone makes the house look much cleaner. Do things in order. In other words, don’t clean and dust, then vacuum as this raises dust from the floor. Vacuum, dust everything from the counter tops to kick-knacks on the shelves–including furniture. Wash down mirrors, shelves, counters, appliances and anything else that can be cleaned with soap and water, vinegar or an all-purpose solution. Get into cracks and crevices. If they haven’t been done since you moved into the house, wash down the walls. Dust ceiling fans. Clean the bathrooms from top to bottom. The more working, the faster everything gets done. However, if working alone, do a room at a time until the house is clean and smelling fresh. Keeping the house clean means training yourself and the rest of the family to put things away after using them, washing what they used in the kitchen and taking responsibility for picking up what they left out. It also means, creating a schedule for doing household chores. This includes washing dishes, vacuuming, dusting and keeping the kitchen and bathroom clean.